With the crucial global need for cooperation in today's complex political and economic climate it is more important than ever for Americans to be able to communicate in other languages. The four year sequence offered at NDCL does prepare the students for the multi-cultural awareness and interaction necessary for life in today's world. Students will become familiar with the language, literature and culture of the respective countries. 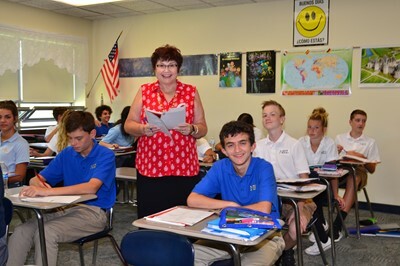 Students are required to complete two years of a modern language study in order to graduate from NDCL. Many colleges require modern language study at the high school level for acceptance. NDCL strongly suggests that once a student begins the study of a language, s/he complete at least three years of study in that language.